Budweiser has unveiled additional details of its Budweiser Live Project, including tour dates and venues, as well as a partnership with Spotify. The AB InBev brand will deliver nine free live music gigs across the UK from 6 October. Each event will feature a different headline artist as well as a support act and local artist from each city. Locations and dates for the final three performances will be announced on 23 September. Budweiser has also teamed up with Spotify to launch the Budweiser Live Project Hub, a website that includes information about the tour, exclusive music content and opportunities to win free tickets. 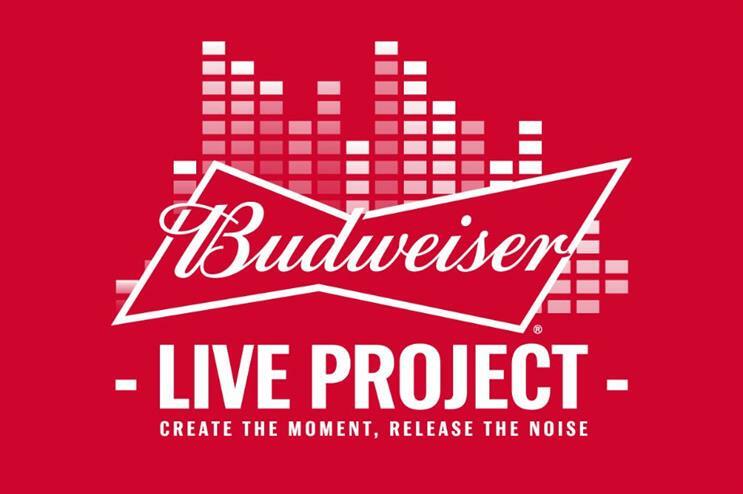 As part of the partnership, audio, video and display ads featuring the Budweiser Live Project will be included across the Spotify platform. The partnership and wider media strategy has been planned by Dentsu Aegis agencies Vizeum and The Story Lab. Tickets for the gigs will be provided by ticketing app, Dice. Isabelle Maratier, senior brand manager for Budweiser at AB InBev UK, said: "Budweiser is a brand that facilitates epic, unforgettable moments in music. Whether that’s making artists’ dreams come true on stage, or hosting a surprise gig in an epic location, Budweiser’s aim is to be at the heart of it all – making UK music fans’ dreams a reality. "We wanted to take our involvement with music to the next level this year and to recognise the people whose passion fuels it; the fans. The British talent we have on board for the Budweiser Live Project is truly incredible, and we can’t wait to see our bus out on the road, bringing these amazing music moments to fans across the country this autumn." Adam Williams, managing director for UK sales at Spotify, added: "Budweiser was looking for a media partner that had both reach and credibility amongst their target audience of music lovers for this exciting campaign, and with our huge audience of music fans on Spotify in the UK we were perfectly placed to deliver this for them. "Spotify is the ideal partner for Budweiser to connect with music fans, and to offer them an authentic music experience. The very best brand campaigns are engaging and relevant to consumers and their interests, and that’s exactly what we’ll be serving up with the Budweiser Live Project." Last week (8 September), Budweiser announced that it would be embarking on a UK-wide music tour, with nine venues to be selected based on their distinct music heritage.